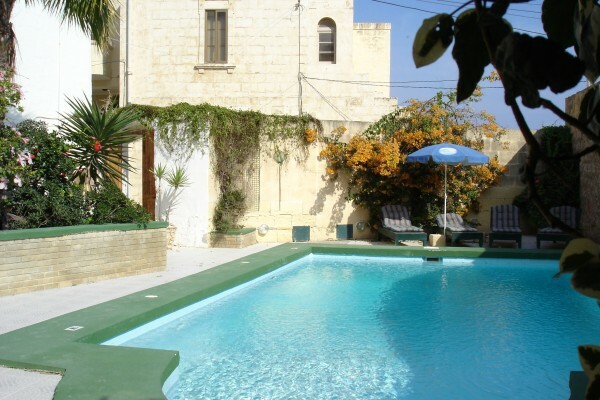 Casa Patricia is a picturesque, converted 3-Bedroom farmhouse, done up part in natural lime stone and part in whitewashed stone, standing in a peaceful alley in Xaghra, just one km from the centre. The house boasts views over the country and townhouses from the second floor, while inside, arched ceilings add to the rustic charm. The lounge incorporates an original stone slab floor and whitewashed walls. A good-sized pool, with large sun terrace and barbecue area is enclosed by high walls to create a lovely air of serenity and privacy.